This is a very filling kuih. 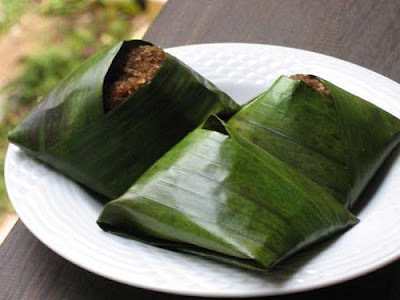 It is glutinous rice topped with sweetened coconut wrapped in banana leaf. Maybe you have probably tried this traditional malay kuih before. I wonder if you can you tell me what it is called.